Beth McGrath, former deputy chief management officer at the Defense Department, told Nextgov in an interview published Tuesday that Congress’ decision to provide the new CMO role with authority over information technology management decisions makes sense as DoD works to reform its business operations. “Over time, with the increased focus from Congress and the department on how do we optimize the business operations, so much of it, especially now, is driven by IT,” said McGrath, who is now managing director of Deloitte’s federal practice. “Over time, the legislation has brought together business performance and IT to say, ‘You can’t think about them separately’ because business should be—and is—IT-enabled, then we really need to think about how we’re driving the business to include the IT aspect,” she added. 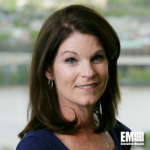 Her statements came after President Donald Trump announced plans to nominate John Gibson, DoD’s current DCMO, as the agency’s CMO.